Roadster Solutions, LLC (Z3Solution) offers both NEW and Refurbished BMW Z3 Wheels at competitive prices. Some Z3 wheels are no longer in stock at BMW so we offer reconditioned wheels instead. If you have a question please don't hesitate to call us at our toll free number at the bottom of this page. Happy motoring! BMW ///M roadster / coupe wheel. Wheel is Original OEM BMW in new condition. Front wheels are 17x7.5 Enter model year on checkout. 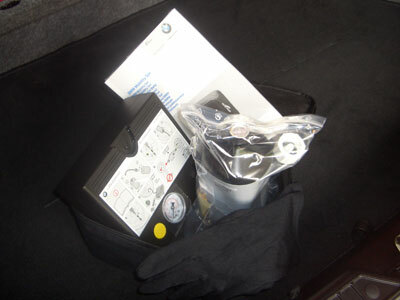 This is an ORIGINAL OEM BMW Part/Accessory. Sorry, 2001-2002 Shadow Chrome wheels are No Longer Available (NLA). BMW ///M roadster / coupe wheel. Wheel is Original EOM BMW in new condition. Rear wheels are 17x9. Enter model year on checkout. BMW Z3 Z Star Style 35 16x7 wheel. The original Z3 wheel style 1996 - 1999. 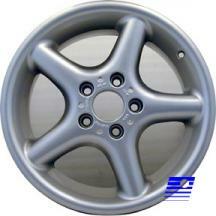 BMW Z3 Z Star Style 35 16x7 wheel. Wheel is refurbished and in like new condition. Give us a call at our toll free number for details and availability. We can get NEW OEM BMW wheels for about the same price. Additional shipping charges will be applied. Give us a call at our toll free number for details and availability. BMW Z3 Round Spoke wheel style 18. Wheel is refurbished and in like new condition. Available in 17x7.5 size only. 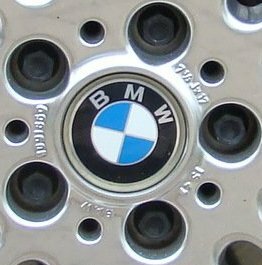 BMW Z3 Round Spoke wheel style 18. Wheel is refurbished and in like new condition. Usually available in three sizes 16x7, 17x7.5, 17x8.5. Select size on checkout. 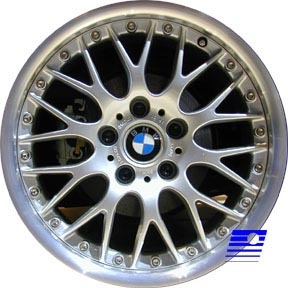 We can get some sizes of NEW OEM BMW wheels for about the same price. Additional shipping charges will be applied. Give us a call at our toll free number for details and availability. 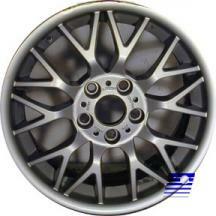 BMW Z3 Cross Spoke Style 42 16x7 wheel. Wheel is refurbished and in like new condition. BMW roundel wheel center not included. Additional shipping charges will be applied. Give us a call at our toll free number for details and availability. BMW Z3 Z Radial Style 32 available in 17x7.5 and 17x8.5 wheel. Wheel is refurbished and in like new condition. Select size on checkout. 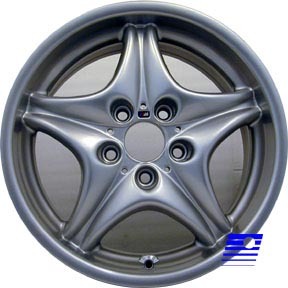 BMW Z3 Cross Spoke Composite Style 42 - 17x7.5 (front). This is the Sport Package wheel 2000-2002. BMW roundel wheel center not included. BMW Z3 Cross Spoke Composite Style 42 - 17x8.5 (rear). This is the Sport Package wheel 2000-2002. BMW roundel wheel center not included. 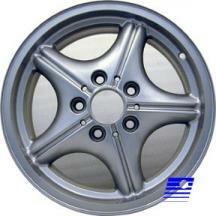 BMW Z3 Cross Spoke 78 available in 17x7.5 (front) and 17x8.5 (rear) wheel. Wheel is refurbished and in like new condition. Select size on checkout. 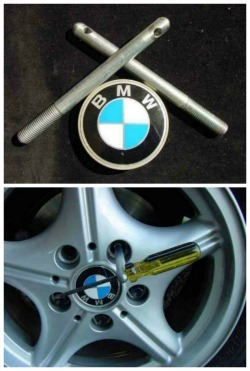 For your ///M or any BMW without run flat tires. When I got my ///M roadster I noticed that there was no Jack or Wheel Lug Crank in the trunk. There was a place for it but no Jack or Wheel Lug Crank. Here is the Original EOM BMW Jack and Wheel Lug Crank that fits perfectly into that location. Now I feel better! If you need only the Jack or only the Wrench give us a call we can brake the set for you. These are the OEM BMW wheel hubs. If yours are looking worn or shabby they can easily be replaced with these new ones. For BMW wheels, one size fits all.